So, just what is natural medicine? We hear these words along with herbs, vitamins, minerals, essential oils, and homeopathy. The word natural implies a medicine found in nature. This would include medicines made from plant, mineral, animal, and could possibly include microorganisms such as a bacteria. It would also imply that the basic chemistry of the medicine is not altered to something chemically different such as a patented pharmaceutical drug. Pharmaceuticals and other chemicals that are created by man are known as xenobiotics. These are substances that are foreign to nature and the human body. An herbalist primarily uses herbs in the form of teas, capsules, and tinctures. Homeopaths primarily use homeopathics that are made from plant, mineral, and animal in diluted form. A Naturopath may use approaches that include diet, exercise, herbs, minerals, vitamins, essential oils, and homeopathics. Other recommendations may include water therapies, sauna, massage, and colonics. Some drug therapies were touted as being natural. 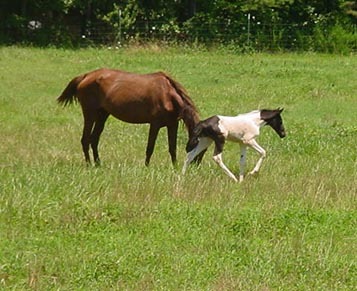 Premarinâ for hormone replacement was made from PREgnant MARes urINe. I guess horse urine hormones are natural but not for us humans. Wild yam as an herb is suppose to be effective for birth control but who ever said this was lucky or did not try it. Poison ivy is natural but I don’t want any, however, homeopathic poison ivy Rhus toxicodendron is an excellent treatment for poison ivy. Traditional herbal medicine is the use of plants made into teas or poultices for application to the skin. Herbal teas also provide a nutrient effect supplying vitamins and minerals. Plants with deep roots may provide more minerals than a shallow rooted plant. Spices are herbs used in cooking for a more nutritious and tasteful meal. Vitamins provided by our foods are natural. Vitamin products may be considered natural if they contain only substances found in nature; however, they are obviously not the same as fresh produce from the garden. This does not mean these products are not helpful, as many of us need supplements. Getting your protein from powdered supplements is not the same as wild meat or fish, but may be helpful for those requiring increased protein. It is a good idea to add a good source of fats such as flax oil to those protein shakes. Common minerals such as our highly process table salt is detrimental. Natural salt includes sea salt or Himalayan salt, which is a true salt, found in nature. Himalayan salt is reported to provide 84 elemental minerals and is a better choice. Natural medicine can use other wellness tools such as water therapy, sauna, massage, chiropractic manipulations, and exercise. It may surprise you that I am not an advocate for intense workouts that leave the body sore. This type of exercise creates toxins the body must process. Consider moderate exercise that includes good basic outdoor physical labor. That said, if exercise or particular supplements works for you then keep it up! We are individuals. So in a world that advertises “natural” consider the source.